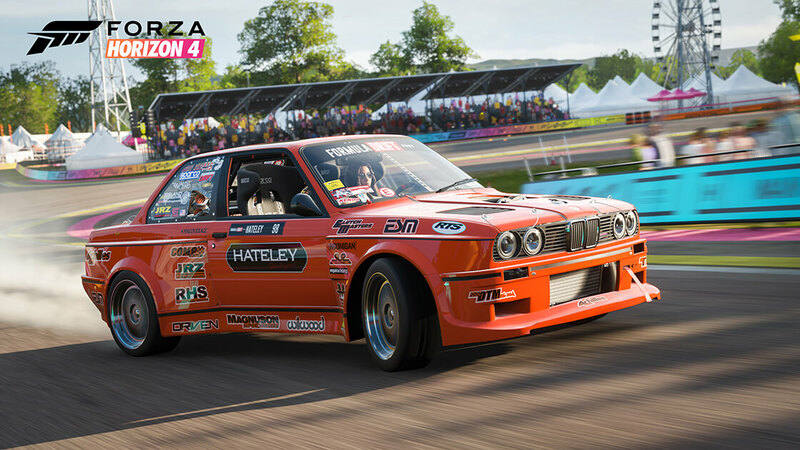 On the latest episode of its Forza Monthly broadcast show, Turn 10 Studios shared the full roster of cars featured in the Formula Drift Car Pack for Forza Horizon 4 and Forza Motorsport 7. 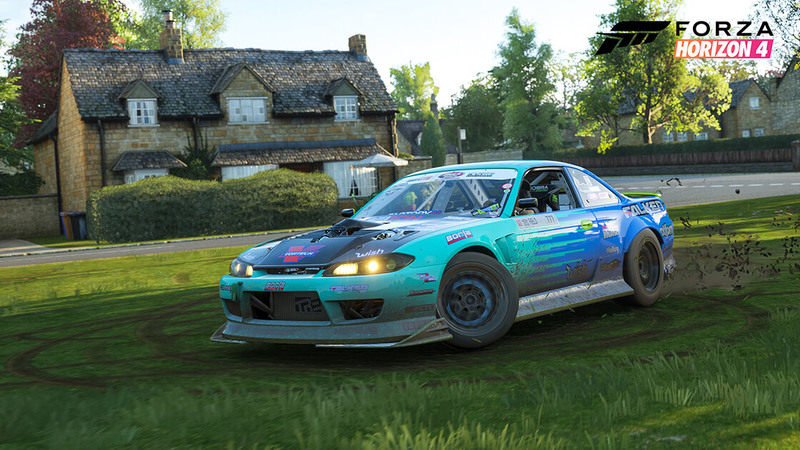 Not only did the developer showcase each of the cars in the Forzavista mode, but it also took some of them out for a little sideways action on the roads of beautiful, historic Britain in Forza Horizon 4. 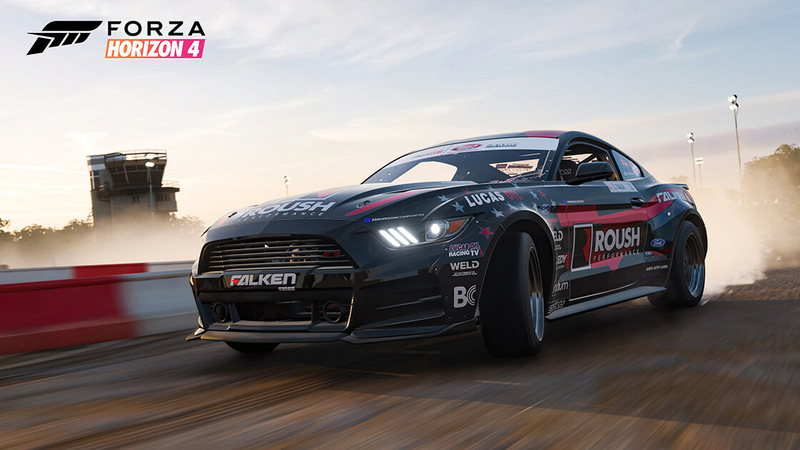 The Formula Drift Car Pack will be available later this Autumn in Forza Horizon 4 and Forza Motorsport 7, and it’ll be downloadable at no cost for those who pre-order the new open-world racer from Playground Games – ether digitally from the Xbox Store or by obtaining the physical release of the Ultimate Edition. Other ways of acquiring or purchasing the pack have yet to be announced by Turn 10. 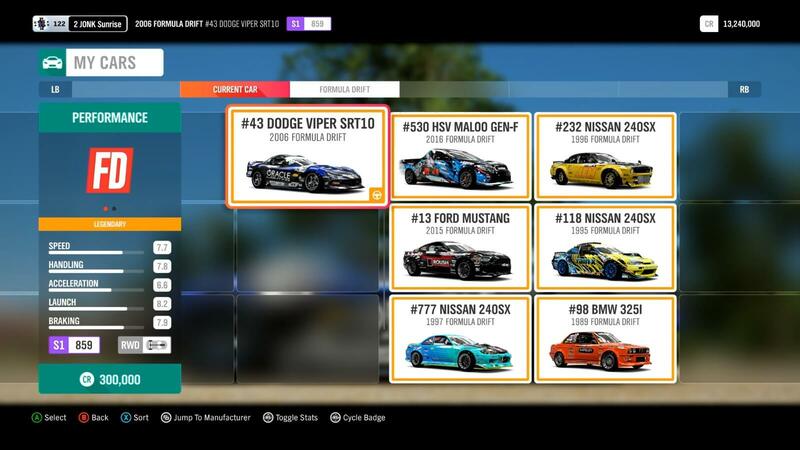 Below, you can check out all seven cars featured in the Formula Drift Car Pack for Forza Horizon 4 and Forza Motorsport 7 as shared on the Forza Monthly broadcast. 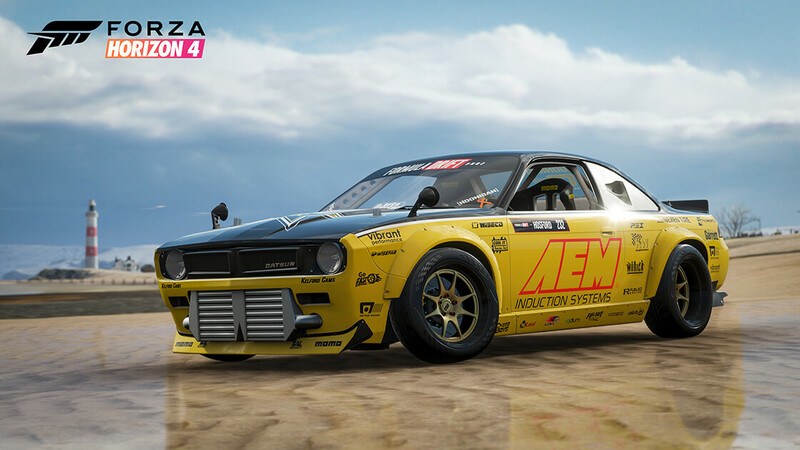 Drift in Tandem in Forza Horizon 4 and Forza 7! Yep, as you can see from the above list, there are in fact three Nissan 240SXs! 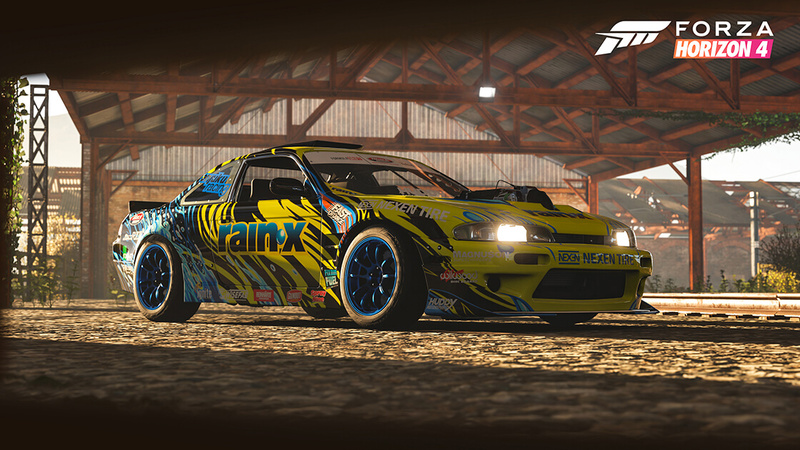 However, the Japanese imported cars are as different to each other as the rest of the tuned drift cars featured in this pack. Formula Drift, which was founded in the USA in 2004, has very few regulations for the specs of each competing car in the series. 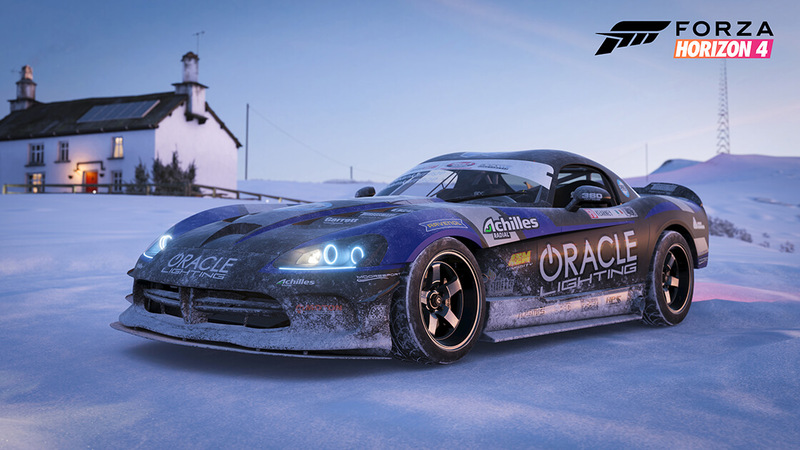 This allows freedom to both drivers and engineers alike, which results in some insanely-powered cars with some eye-catching liveries. It’s also what makes each of those 240SXs so different to each other. Not only in terms of looks, but also sheer power, performance and drift angle! 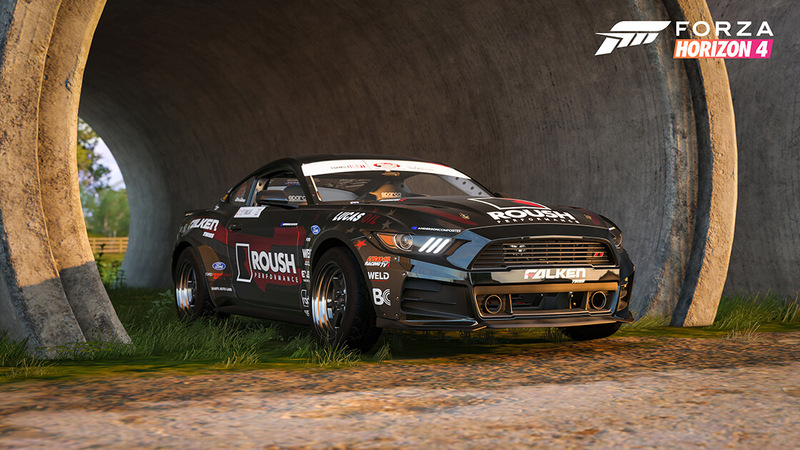 The 2015 Ford Roush Mustang of Justin Pawlak is a particular favourite of mine. Under the hood, it features a 2.3-litre supercharged Ford V8 engine built by Roush Performance that outputs more than 1,000 horsepower! 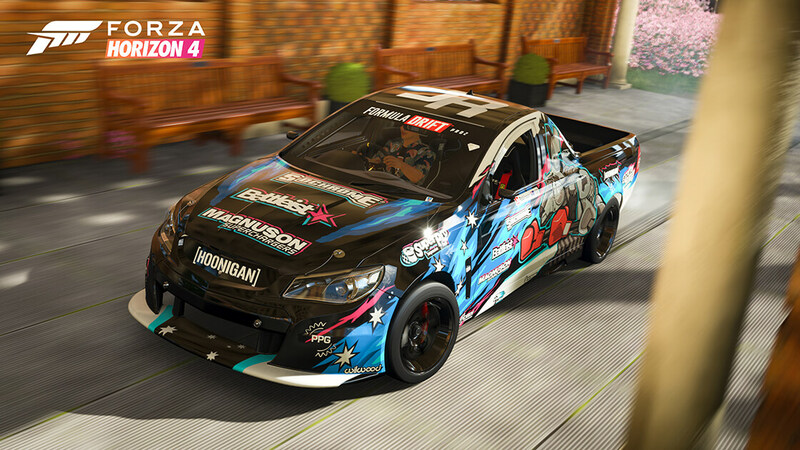 This one isn’t just accessible to new drifters as it can pull off some incredible angles. It also sounds amazing – and looks the part too, with a blacked-out livery complimented by plenty of carbon fibre adorning this vehicle. Josh Robinson’s Holden Maloo Ute is another highlight of the pack, which features a Magnuson Supercharger to output more than 1,000 horses in its V8 engine. You might wonder how an Australian Ute is able to go sideways, but Robinson makes it look easy. These little Aussie Utes made their franchise debut in Forza Horizon 3, but back then, we were taking them off-road and cruising the Australian Outback in search of kangaroos! 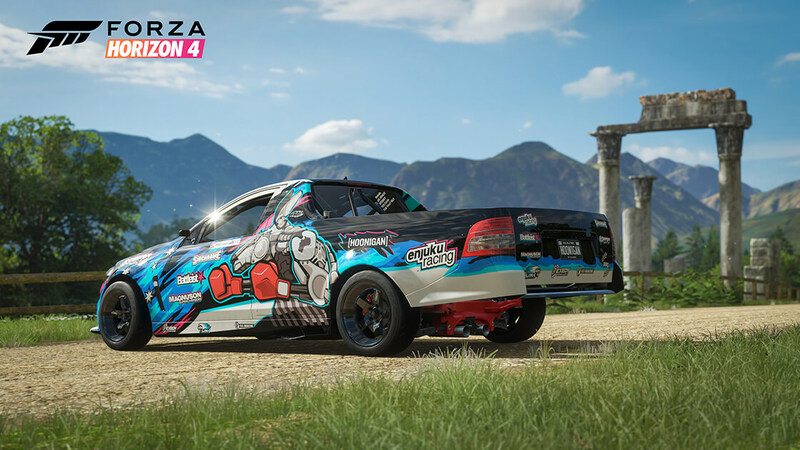 In Forza Motorsport 7 and Forza Horizon 4, this Holden Maloo Ute will be out and about for some sideways action. The Forza Monhtly broadcast also saw Turn 10’s Design Director Jon Knoles show off a new location in Forza Horizon 4, which turned out to be the trainyards. 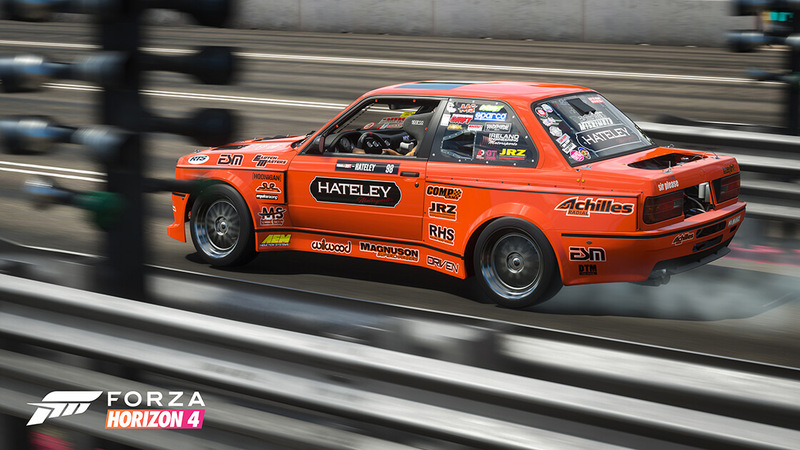 It’s a brand-new area that’s fun to drift around, and naturally, Knoles and the crew put these new Formula Drift machines to the test. Whilst it’s much easier to slide in these cars than ever before, they’re certainly a challenge to master! 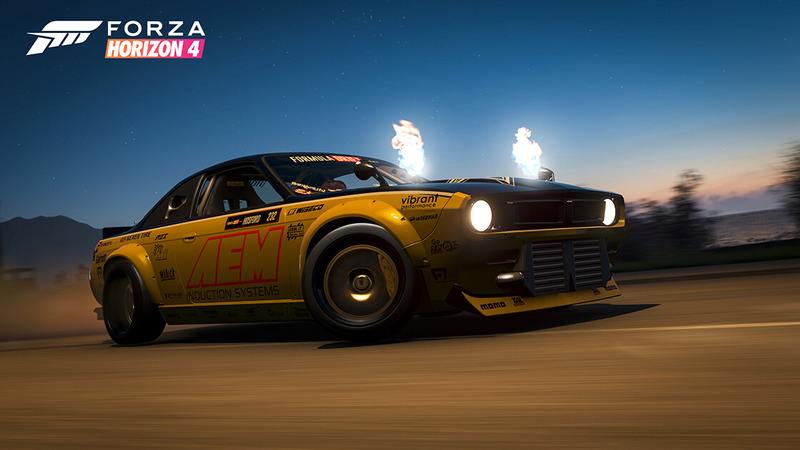 In the hands of a Forza drifter, the results produced can be simply insane. 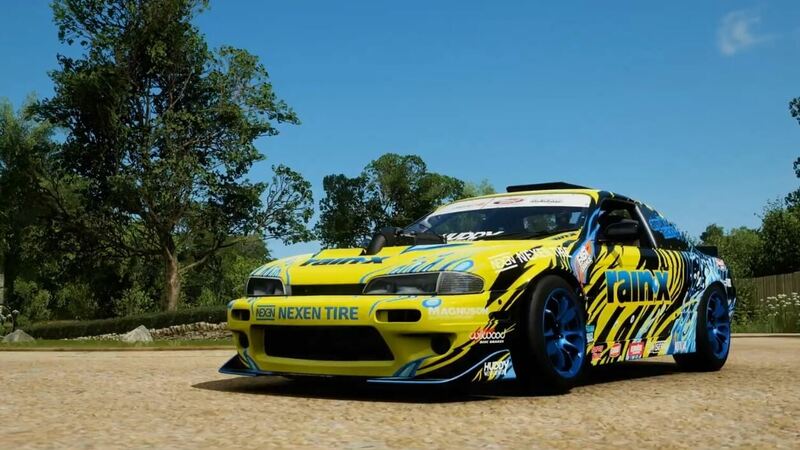 Give these Formula Drift cars any bit of gas and they’ll start sliding sideways immediately – just as advertised, so at least you’re getting your money’s worth from these drift machines! Formula Drift fans should keep an eye on their next official event taking place this weekend on Saturday, August 11th, live from St. Louis. 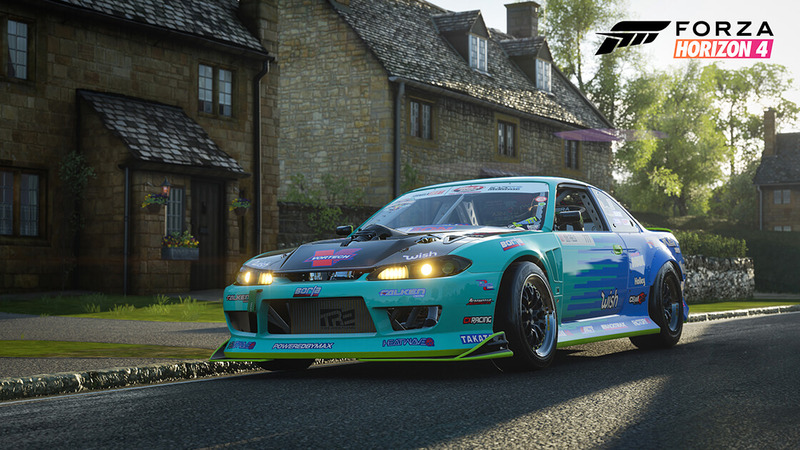 It’ll feature the world premiere of the official Formula Drift Car Pack trailer (embedded below) for Forza Horizon 4 and Forza Motorsport 7 during the halftime broadcast show, which will start at approximately 2:30pm Pacific (5:30pm Eastern, 10:30pm BST). 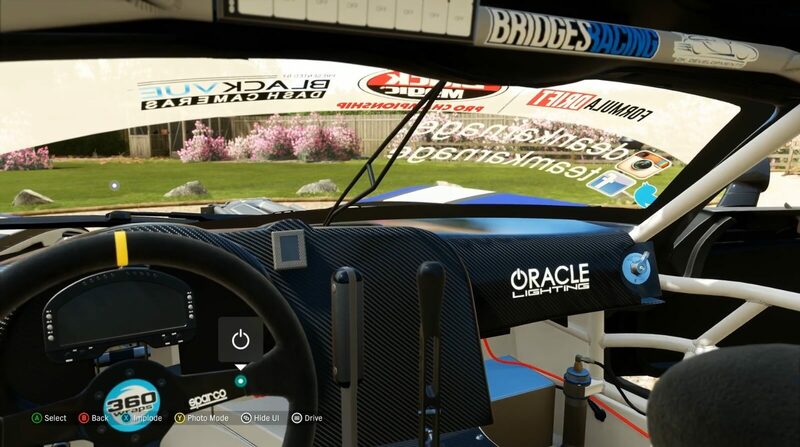 Those who follow the American competition should also check out the full Forza Monthly livestream, because it featured a tour of Dalton Gernhart’s Formula Drift S15, which was prominently displayed in the broadcast studio. This car started in Japan before being imported. It has insane steering angle, and as for the man behind the wheel – Dalton Gernhart, he’s a Pro 2 driver and only just got his license. For those unfamiliar with Formula Drift, it’s worth noting that the drift machines have a second seat to bring fans into the car. Like Forza, Formula Drift is also about being close to fans with driver meet and greets, as well as signings that bring fans up and close with drivers. Drift fans should also be excited by this month’s content update for Forza Motorsport 7. It introduces a new steering angle kit that players can tune up for up to 60-degrees of steering angle, as well as an updated drift scoring system that’s not only fairer, but also more rewarding and meaningful as a result. You can find out everything you need to know about these new drift features and enhancements in our dedicated breakdown of the August Content Update for Forza Motorsport 7. 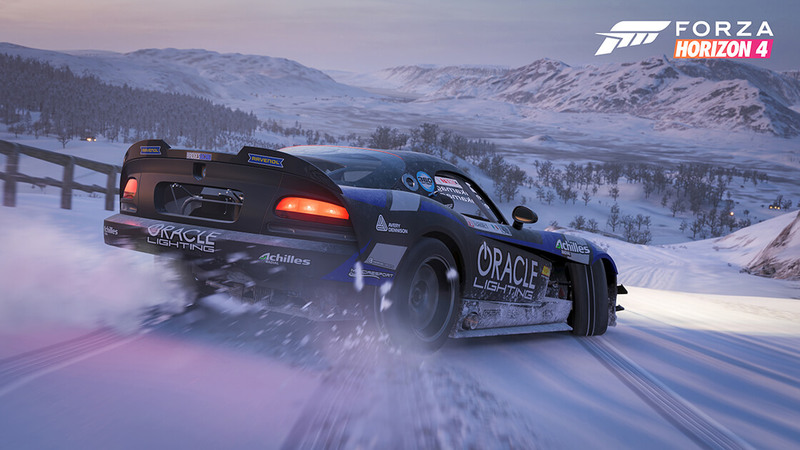 Forza Horizon 4 will also introduce a slate of its own drifting and handling improvements. 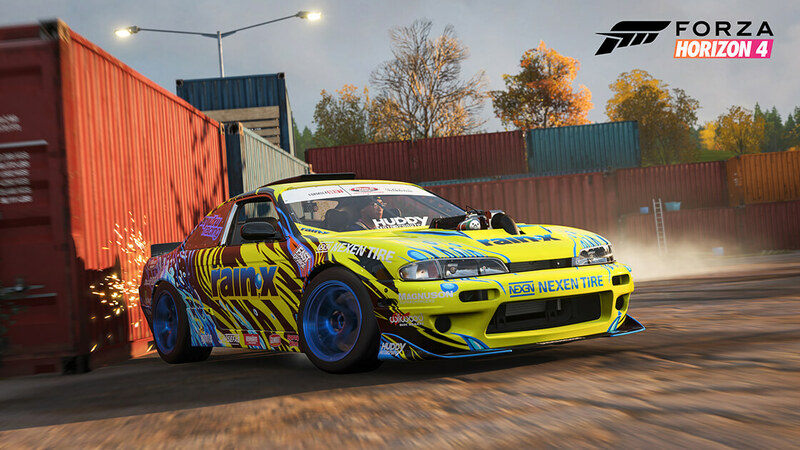 As a reminder, the Formula Drift Car Pack will be available in both Forza Horizon 4 and Forza Motorsport 7 when it launches later this year.